Representing four academic units of Advertising and Public Relations, Communication Studies, Journalism and Creative Media, and Library and Information Studies, C&IS offers a multidisciplinary doctoral program in communication and information sciences that enables students to either build an interdisciplinary plan of study or specialize in one of six concentrations, in Applied Communication, Book and Publishing Studies, Interpersonal Communication, Media Processes and Effects, Rhetoric and Political Discourse, or Social Justice and Inclusion Advocacy. The interdisciplinary plan of study allows students to craft a curricular plan unique to their skills and interests while the concentrations provide students an opportunity to earn distinction through a prescribed suite of courses preparing them to contribute to the academe as distinguished scholars and teachers at a variety of institutions across the globe. Alongside the concentrations, the program emphasizes three signature areas of interdisciplinary research: emergent media, health communication, and sports communication. A core group of world-class graduate faculty across various disciplines focus their research agendas around these three areas. Students who take the interdisciplinary approach or select a concentration are encouraged to pursue their own research agendas in tandem with their coursework, with many individuals combining interests. Common pathways include researching health while completing coursework in media processes and effects or interpersonal communication, examining sports media alongside applied communication courses, or investigating emergent media in the context of our social justice and inclusion advocacy curriculum. Individual C&IS faculty also specialize in multiple additional areas of research, and students are encouraged to explore our website and faculty CVs to identify faculty who can mentor students in particular research areas. The skills and publications developed through researching alongside our faculty prepare graduates to become noteworthy scholars in their chosen fields. C&IS doctoral students study in small classes and work closely with faculty mentors. At the same time, doctoral students benefit by having access to word-class research and teaching facilities and to more than 70 graduate faculty members. C&IS is one of the top 10 largest and most comprehensive colleges of its kind, supporting more than 2,500 undergraduate students. Doctoral students have opportunities to develop a teaching portfolio through teaching undergraduate classes aligned with their research interests, including courses in advertising, communication studies, creative media, information technology, journalism, leadership communication, mass communication, media studies, rhetoric, public speaking, and public relations. The pedagogical mentoring and teaching experiences provided to our doctoral students prepare them to succeed in the professoriate. Financial support is readily available. More than 90% of our fulltime doctoral students are supported with assistantships or fellowships. Moreover, our assistantship assignments aim to provide students with experience both as teachers and as research assistants. Students are not type-cast or pigeon-holed into research or teaching tracks. Instead, students supported with assistantships devote their effort in roughly equal proportion to research and teaching. Additional information about financial aid is at The University of Alabama Graduate School website. Applications for the doctoral program are submitted through The University of Alabama Graduate School (https://graduate.ua.edu/). The Graduate School website provides a great deal of information about graduate education across the university. Details about program requirements for the doctoral program in Communication and Information Sciences can be found in the University Graduate Catalog. Applications are accepted on a rolling basis, throughout the year, for fall, spring, and summer entry. To receive full consideration for financial support, students who plan to enter in the Fall, 2019 semester should complete their applications by February 15, 2019. Students who plan to enter in the Spring, 2020 semester and wish to be considered for financial support should complete their applications by September 1, 2019. In most years, financial support is not available for students who plan a summer entry. Prospective students who desire financial support are encouraged to apply for fall or spring entry. The Graduate School of The University of Alabama administers admissions for the entire University. The Graduate School’s website has detailed admission policies, a copy of the graduate catalog, an electronic application, and other useful information for those considering graduate studies at the University. Applicants to the doctoral program in communication and information sciences must meet the admission criteria of the Graduate School of The University of Alabama and those stated below. Normally, an applicant will have completed requirements for a master’s degree in a communication field or in library and information studies. Consideration will be given to individuals with advanced degrees in other fields if they can make clear cases showing how their previous graduate work would apply to doctoral study in communication and information sciences. An undergraduate grade point average (GPA) of 3.0 overall, 3.0 for the last 60 semester hours in a degree program, or 3.0 for a completed graduate degree program. A combined score of 300 on the verbal and quantitative portions of the Graduate Record Examination (GRE). International applicants must score at least 90 on the TOEFL iBT language proficiency exam and also score at least 24 on the speaking and writing sections of the iBT exam. International applicants who meet these criteria may also be invited to participate in a videoconference with the college application review committee. Applicants may be considered for admission on a permission-to-continue basis if they meet either the GPA criterion for regular admission or the GRE score criterion for regular admission. Theory and practice of communication in applied contexts such as strategic communication, advertising, public relations, and corporate communication. The past and future of books and other published artifacts, and the processes of their generation and dissemination. Processes of human interaction, including message production, exchange, and technological mediation, in various psychological, social, discursive, and relational contexts. The effects of contemporary and emergent media on people and society, and the processes by which effects transpire. Rhetoric and discourse in political forums, conversation, and media, and the role of political discourse in shaping identity, community, and culture. The role of libraries and information in advancing social justice and inclusion efforts. Interpret the theoretical and methodological frameworks from your coursework through the lens of three signature research areas: emergent media, health communication, or sports communication, or consider partnering with individual faculty who focus on various other research agendas. Faculty and students pursue research on social media, mobile communication, online interaction, and user-generated content. We utilize big data, research laboratories, and local partnerships to advance understandings of emergent media content, its production and dissemination, and its role in public reasoning. Health communication research is one of the fastest-growing areas of investigation in communication. The College has a variety of research facilities and laboratory teams in which faculty and students collaborate on a wide range of health communication projects. The University of Alabama produces more research in the area of sports communication than any American institution. Doctoral students are highly engaged in seminars and collaborative research projects focusing on the role of sports within all forms of the communication discipline. The Ph.D. in Communication and Information Sciences is a research-intensive program designed to prepare communication scholars for positions of leadership in education, public service, media and other communication-related fields. The three- to four-year, in-residence program features a highly customizable, interdisciplinary curriculum that spans the fields of communication and information sciences. You will work with our award-winning graduate faculty to create a plan of study and advance your knowledge and skills in communication and information sciences. For the most up-to-date curriculum requirements, please visit the Graduate Catalog. A student must maintain a cumulative grade point average of at least 3.00 on a 4.00 scale for graduate courses undertaken following admission to the doctoral program. A doctoral student whose grade point average falls below 3.00 at any time after 12 semester hours have been completed will be placed on academic warning by the Graduate School and the College of Communication and Information Sciences. Students who are dropped from the program may petition the college for readmission. The college may in turn make a request to the dean of the university Graduate School for approval of the student’s readmission. A preliminary examination is required of all doctoral students. The examination is given after all required course work and other work prescribed by the student’s Program Advisory Committee has been completed. The examination must be completed at least six months before the degree is awarded. The student must demonstrate, through written and oral examinations, a capacity to understand, synthesize, and apply theory and research techniques in communication and information sciences, as well as demonstrate knowledge of the pertinent literature, issues, and recent advances in the student’s concentration or focused area of study and cognate area of study. In other words, the examination must cover the student’s (1) theory core, (2) research methodology core, (3) concentration or focused area of study, and (4) cognate area. The written examination is administered by the student’s program advisory committee, which may call on other faculty members associated with the student’s coursework for assistance in preparing the examination. Sixteen hours are set aside for the examination, four hours for each division (theory, methods, concentration or focused area of study, and cognate). The exams are closed book exams, that is, students answer the exam questions without reference material or internet access. The exams must be taken on campus, on four consecutive working days (one day for each of the four question areas). The oral portion of the examination (required) will be scheduled as quickly as possible following the written examination. Immediately following the oral examination, the examination committee will convene to determine whether the student has passed, must perform additional work to demonstrate understanding of competency in one or more areas, or has failed the examination. In the case of a clear failure, the re-examination must take place after six months and before twelve months have elapsed. Each of the four portions of the preliminary examination may be taken only twice. The examining committee will rule either pass or fail on the second examination. The Program Advisory Committee supervises the planning and completion of a student’s program of study and leads the student through the preliminary examination. Students are encouraged to establish this committee during their first semester in the program and no later than the semester in which the student will complete 18 semester hours of UA credit toward the degree. Students are encouraged to establish this committee at least six months before the preliminary examination is to occur. Students are not permitted to schedule the preliminary examination before this committee is established. The Program Advisory Committee must be composed of at least four faculty members. All members must be regular UA faculty. All members must be members of the UA Graduate Faculty. The chair of the committee must hold a Ph.D. degree. Only one temporary member of the Graduate Faculty may serve on a Program Advisory Committee. Additionally, temporary members may not chair a Program Advisory Committee. No more than one member may be from a college or school outside the College of Communication and Information Sciences. To establish this committee, the student submits the form for Appointment/Change of Doctoral Program Advisory Committee. Following the successful completion of preliminary examinations, the candidate for the Ph.D. in Communication and Information Sciences must form a dissertation committee. This committee evaluates the dissertation proposal and the dissertation proper. Both the proposal and the completed dissertation must be defended before the committee. The successful defense of a proposal grants the student candidacy for the degree and entitles the student to conduct dissertation research. The successful dissertation defense is the last formal step to reception to the Ph.D. degree. A dissertation committee, with the director of the dissertation as its chairperson, supervises the preparation of the dissertation. The graduate dean’s approval of the proposed dissertation committee is expected to be obtained before significant progress is made on the dissertation–typically just before or just after the dissertation proposal meeting. For this purpose, the student submits the form for Appointment/Change of a Doctoral Dissertation Committee, available online at the Graduate School website. Students are advised to consult Graduate School policies related to dissertation committees, available in the UA graduate catalog. In addition to the policies of the Graduate School, the Ph.D. program in Communication and Information Sciences (a) prohibits more than one temporary member of the university Graduate Faculty from serving on a dissertation committee; (b) requires that at least two members of the committee be full members of the university Graduate Faculty; and (c) requires that at a majority of committee members be full or associate Graduate Faculty members in the College of Communication and Information Sciences. The dissertation committee shall have not fewer than five members. All members of a dissertation committee must be members of the UA Graduate Faculty. The committee chair must be a full member of the Graduate Faculty. A majority of the dissertation committee members must be regular UA faculty. One member must be from outside the College of Communication and Information Sciences. If the outside member is not a full or associate member of the UA Graduate Faculty (e.g., a highly qualified person from another university, a business or industry), that member must be appointed a temporary member of the UA Graduate Faculty for the specific purpose of serving on the student’s dissertation committee. 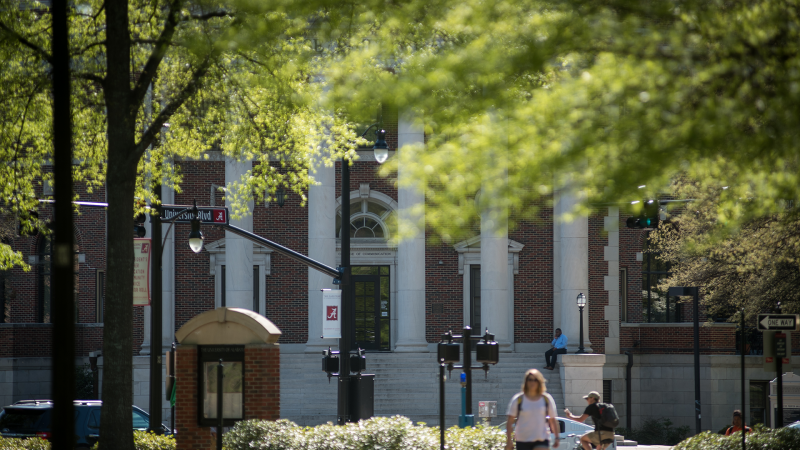 Students and dissertation committee chairs who wish to nominate a highly qualified person from beyond UA for a temporary Graduate faculty appointment begin this process by contacting the college’s associate dean for graduate studies. Only after the doctoral student has been certified as a candidate for the doctoral degree can the student indicate they are ABD (“all but dissertation”). After successful completion of the preliminary examination, degree candidates must submit a written proposal to their dissertation committee. The proposal describes the importance of the proposed topic, outlines the hypotheses to be evaluated, provide an overview of the relevant literature, specifies the methodology to be used, and includes a timetable for completion of the project. The dissertation must make a significant original contribution to the field of communication and information sciences and must demonstrate the candidate’s ability to report that research in writing in a clear, comprehensive, and scholarly manner. The defense of the dissertation proposal must precede the defense of the dissertation itself by at least 30 days. Furthermore, the student must submit the proposal, and later the dissertation, to the Dissertation Committee at least 14 days prior to the defense. After the proposal has been circulated among the members, the student’s dissertation committee meets for the student’s oral defense of the proposal. The candidate must complete the dissertation within seven years of the date of admission to the doctoral program. The candidate must present a copy of the final draft of the dissertation to each committee member at least two weeks before the scheduled date of the final examination. After the dissertation has been completed and accepted by the candidate’s dissertation committee for purposes of the examination, the candidate will be given a final oral examination by the dissertation committee. The final examination is primarily concerned with the research embodied in the dissertation and with the field in which the dissertation lies, but it may extend over the student’s entire primary field of study. The final oral examination is governed by the rules of the Graduate School of The University of Alabama. All members of the Graduate Faculty of the College of Communication and Information Sciences are invited to attend. After the UA Graduate School has approved the dissertation the student is to provide the Office for Graduate Studies a bound copy of the final version of the dissertation. It is also recommended that the student present the chair and committee members a copy of the final version of the dissertation. The College of Communication and Information Sciences offers a limited number of graduate assistantships to qualified students. The assistantships are awarded on a competitive basis to individuals who can best aid the institution in achieving its research and instructional missions. Students interested in graduate assistantships should apply to the appropriate divisions by November 1 for spring semester applications and by February 15 for all fall semester applications.